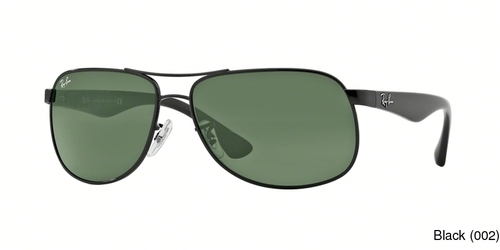 What Ray ban Replacement Lenses are available? As an authorized retailer for Ray ban, we can offer you a few options of replacement lenses, while keeping the authenticity of your product. The first option is to replace your current lenses with original lenses from the manufacturer. This is typically the best option for someone who is willing to pay the brand premium and also does not need prescription lenses as most manufacturers do not offer prescriptions. The second option is to have our laboratory create OEM-like lenses. These would look and feel just like the originals but would not have any markings (if any) that came with the original lenses. Tell me about original Ray ban Replacement Lenses! When Ray ban creates their glasses frames, they create extra replacement lenses based on what they feel the market needs. These replacement lenses are stored in their warehouse and are available to any authorized retailer to purchase on behalf of their consumer. These will be identical to the lenses that came originally in your Ray ban frames. As time goes by and these replacement lenses are purchased or discarded and their availability and prices change, almost daily. Because of these issues we do not allow our customers to place these items in their online shopping cart. The only current way to order original Ray ban Replacement Lenses is to contact our customer support team and have the model, size and color of your Ray ban frames. This information can be found on the inside of your temples. What about your Ray ban Replacement Lenses? We manufacture replacement lenses for all major brands and Ray ban is no different. Our state of the art machines have been making lenses and prescription lenses for over a decade and not only that, we have a 90% satisfaction rate on all of our custom lenses. Not only are we confident about the quality, we are also positive you will love the style as they will match almost identically to your older lenses. If it sounds like we are pushing our lenses over the original Ray ban Replacement Lenses. It's because we are. Our lenses are cheaper in price and usually better in quality. You can also customize them by changing colors and tints, adding mirrors or photochromic options, and you have a 30 day money back guarantee on everything. If it's not what you wanted, take all your money back. We have been in business for a long time because of returning, happy customers and we want to make you one too.